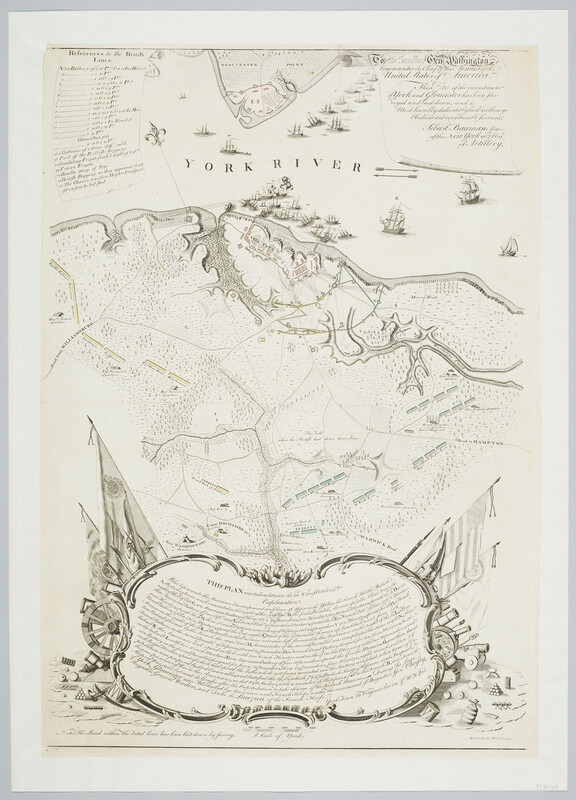 This is one of 13 known impressions of the only American map of the battle of Yorktown, Virginia, the last major land battle of the American War of Independence. From 29 September to 19 October 1781, around 9,000 British troops were besieged and ultimately defeated by an alliance of 19,000 American and French troops under the joint command of General George Washington, to whom the map is dedicated. Prominently labelled is the 'Field where the British laid down their Arms'.